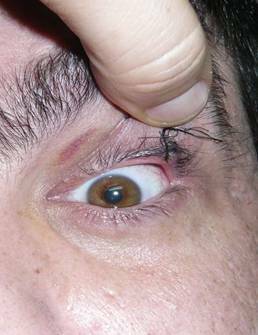 The term eyelid hyperlaxity is used when structures such as eyelid tissues, skin, muscles, and tendons suffer from an abnormal distention, hyperelasticity and secondary loss of tone, producing an alteration in their normal function, which is adequate protection and nutrition of the ocular surface. The main cause is human aging. There are other important factors such as genetics, eating habits, excessive exposure to solar radiation and smoking. 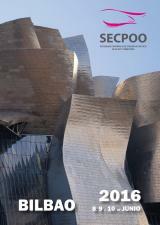 All of these structures produce changes affecting the eyelid which are sufficient to irreversibly alter its structure. There is a recently described syndrome in 1981 called floppy eyelid, in which the normal elasticity of the eyelids is maximum, leading to very significant problems involving occlusion. This syndrome is associated with OSA (obstructive sleep apnea). This eyelid syndrome occurs very often associated with obesity, hypertension or sleep apnea, and can also present itself along with diabetes and heart disease. Its cause is unknown but an increase in its frequency has been observed. The importance of this disease regarding the eye lies in the fact that it can be associated with glaucoma and optic nerve diseases such as neuropathy, vascular diseases of the retina, and corneal diseases caused by eyelid malposition. Floppy eyelid will produce the following symptoms, which depend on the degree of severity, duration and other associated risk factors. Eyelid eversion, more frequent in the upper eyelid. This occurs most frequently at night when sleeping on the affected side. The patient awakens with red eye due to rubbing against the pillow. Frequently noticeable symptoms are a decline in the position of the eyelashes, eyelid ptosis, thick eyebrows, and herniated orbital fat. 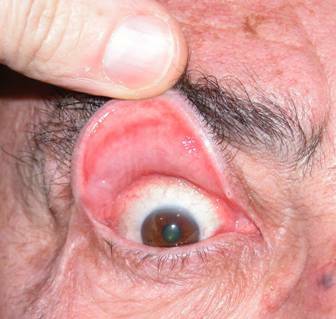 Ectropion of the lower eyelid causing tearing and permanent eye irritation. In the event of worsening hyperlaxity, the eyelid fails to adequately protect the cornea leading to corneal injury, which can become very serious and even lead to perforation. If hyperlaxity is associated with OSA, the following conditions although rare can appear: glaucoma, optic nerve diseases such as stroke or retinal hemorrhages. Patients using CPAP (continuous pressure devices) nocturnal oxygen may suffer minor conjuntivocorneal disorders, such as conjunctivitis, keratitis or corneal ulcers. 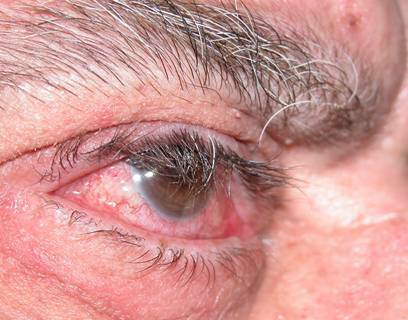 How is eyelid hyperlaxity treated? 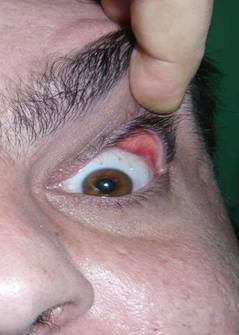 Any patient with SAHS factors such as obesity, sleep apnea or snoring at night, must undergo an ophthalmological examination to assess the presence of eyelid hyperlaxity. The goal is to give tension to the eyelid. Different methods are employed, correction being more difficult to achieve in the upper eyelid compared to the lower one. 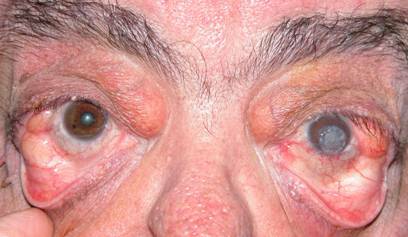 In the upper eyelid techniques such as pentagonal tarsectomy are employed (removal of part of the eyelid), canthopexy or lateral cantoplasty (adjustment in the lateral angle of the eyelid, causing eyelid stretching and anchoring it again). In the lower eyelid canthoplasties and canthopexies are employed, and tarsectomies are avoided. 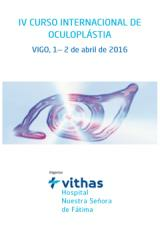 These surgeries are performed on an outpatient basis. These patients have a higher risk of infection locally. Sometimes oral antibiotics are prescribed. External sutures are used which are removed a week after surgery.